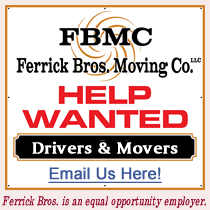 m.ferrickmovers.com and www.ferrickmovers.com welcomes comments and questions on this policy. We are dedicated to protecting your personal information, and will make every reasonable effort to keep that information secure. Due to the rapidly evolving technologies on the Internet, we may occasionally update this policy. All revisions will be posted to this web site.